Mr Harman is a professional geophysicist with more than 30 years working for BHP Billiton in minerals exploration in a broad number of roles, both technical and managerial, in Australia and overseas. He has also held directorships within ASX-listed mineral exploration companies Gravity Diamonds Limited, Gippsland Oil and Petroleum Limited and Predictive Discoveries Limited. Mr Harman is a director of Deep Exploration Technologies Cooperative Research Centre and a non-executive director of Laguna Gold Limited. Mr Blight has been involved in the exploration, mining and finance industries for more than 30 years. Prior to joining Stellar Resources, he was Director of Research at Russian aluminium giant UC Rusal where he was responsible for market analysis and business development in China and India. He has also had a 14 year career with investment bank UBS as Executive Director of Commodity Analysis in London and prior to that as a mining company analyst in Melbourne. Dr Tom Whiting has spent more than 30 years in the minerals exploration industry both as a geophysicist and an exploration manager. From 2000 to 2004 he was Vice President of Minerals Exploration for BHP Billiton. During his career with BHP Billiton he was associated with a number of discoveries, in particular the Cannington Pb/Zn/Ag mine in Queensland, the world’s largest producer of silver and lead. He is Chairman of Deep Exploration Technologies Cooperative Research Center and has held directorships on boards of a number of ASX listed junior exploration companies. Mr Lopez de Letona is Managing Director of Monaco Resource Investments, the private equity arm of Monaco Resources Group S.A.M. Monaco Resources Group S.A.M. is an international investor in the natural resources sector with holdings in energy, metal and mining and agriculture companies. MRI is responsible for deal origination, structuring, execution and managing high potential projects for Monaco Resources Group S.A.M. 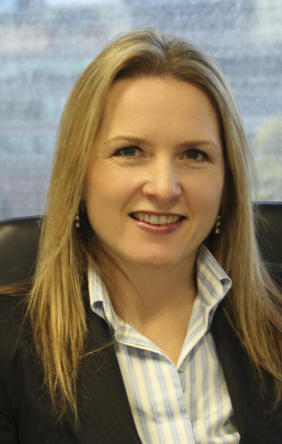 Melanie graduated from Swinburne University in 1997, became a Chartered Accountant in 1999 and since February 2000 has been the principal of chartered accounting firm, Leydin Freyer. Her practice provides outsourced company secretarial and accounting services to ASX listed companies in various industry sectors. This involves preparation of statutory financial statements, annual reports, half-year reports, stock exchange announcements and quarterly ASX reporting, company secretarial duties, co-ordination of capital raising, initial public offerings and other statutory requirements. Melanie has 25 years’ experience in the accounting profession and 15 years’ experience in Company Secretarial services.